Journalist Eliván Martínez, reporting for the Center for Investigative Journalism in Puerto Rico, discovered a scheme by the City of San Juan to illegally collect money from property owners under the false pretense that it would be used to conserve green space. At least 648 private parcels, comprising nearly 3,000 acres in the southern green belt of San Juan, are crucial for the preservation of water resources and preventing floods in the capital of the Caribbean island. Nevertheless, at the beginning of former mayor Jorge Santini’s administration, these parcels were being developed at an alarming rate. Therefore, in order to allegedly ‘preserve’ this green area, the Santini administration imposed a secret tax on San Juan citizens, including on poor people, who asked for construction permits. After analyzing aerial pictures, conducting interviews and visiting the area, the investigation demonstrated that the destruction path in those lands continued. 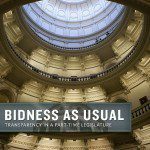 The Santini administration collected more than $20 million dollars in this way, after distorting the municipality’s Transfer of Development rights program (TDR). 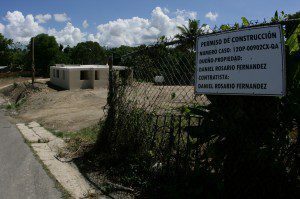 Even though San Juan collected the “tax” associated with its TDR program until November 2012, this reporter’s investigation found that the 6,411 residential units available for sale under San Juan’s TDR program had all been sold as of 2007. Nevertheless, the municipality kept selling TDRs that didn’t exist, not only to those willing to build over the height limit, but to anyone asking for construction permits. Meanwhile, the owners of the 648 private parcels (southern green belt of San Juan) who were supposed to receive the money in exchange for limiting development on their land never saw any of it. According to mayor Santini, the money collected under this program was deposited into a special account at the largest bank on the island, Banco Popular. However, this investigation revealed that this account is no longer active and the Santini administration has yet to provide answers on the fate of the money it collected under its TDR program. After the publication of a series of news articles on the subject, San Juan’s new mayor Carmen Yulín Cruz, from the Partido Popular Democrático (the local non-statehood political party that favors the status-quo Commonwealth relationship with the US), has promised to conduct an in depth review of the municipality’s TDR program and to refer it to justice authorities in the event that indications of possible criminal activities are found that may warrant charges. 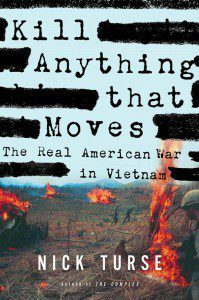 Just released by Metropolitan Books, based on classified documents and first person interviews, “Kill Anything That Moves” by author Nick Turse, is a startling history of the American war on Vietnamese civilians. Thousands of Vietnam books later, “Kill Anything that Moves,” devastating and definitive, finally brings us face-to-face with the truth of a war that haunts Americans to this day. 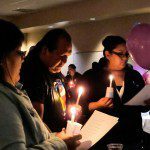 ‘American Indian and Alaska Native youth have the highest suicide rates in the country,’ said Richard McKeon, chief of the suicide prevention branch of the federal Substance Abuse and Mental Health Services Administration (SAMHSA). To begin to abate this, Native groups received about a third of the agency’s recent round of Garrett Lee Smith grants, named for a Senator’s son who killed himself in 2003. ‘We want to help as many as tribes as possible reduce risk factors, such as substance abuse and depression,’ McKeon added. With the grants, the tribes will also bolster what scientists call protective factors. ‘For Native people, that means connecting with culture, an extremely important asset, as well as family and community,’ explained McKeon. Throughout Indian country, even very young children are included in prevention events and activities. ‘On the Pine Ridge Indian Reservation, we can start talking about suicide when kids are in pre-school,’ said Yvonne “Tiny” DeCory, staffer for the Sweetgrass Project, a tribal suicide prevention program. Journalist and author Trevor Aaronson appeared on CBS This Morning to describe his investigation of the FBI war on terrorism, which found that many of the agency’s stings were designed with the means, methods, and planning details supplied by the government, not the alleged terrorists. 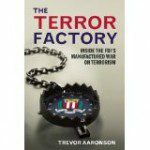 Aaronson’s book, The Terror Factory: Inside the FBI’s Manufactured War on Terrorism, which outlines his findings, went on sale this month. His investigation into the FBI sting operation began with support from the Fund for Investigative Journalism. Freelance journalist Heather Smathers reports that progress on a Chinese solar power manufacturing project in Nevada is slow-going. 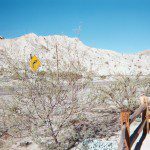 “As an economic development incentive, the 9,000 acres where the proposed plant will be built were optioned to ENN far below market value, begging the question why Clark County [Nevada], in an economic doldrums for several years, would sell land so cheaply. Even though the law says it’s legal to do so, the question remains why Clark County officials are so quick to dispose of the land for a fraction of the market value.